(b) What does abstract data type means? (c) What is the difference between linear and nonlinear data structure. (g) What is 2-3 tree? (b) Write a function to implement insertion of an element in circular queue using 05 link list. (d) What is circular link list? Q.3 (a) What is the meaning of height balanced tree? How rebalancing is done in height balanced tree. (b) What is graph? How it can be represented using adjacency matrix, what is path matrix? How path matrix can be found out using adjacency matrix . (c) What is spanning tree ? 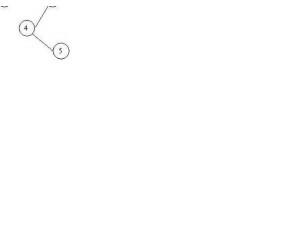 (c) Write warshall algorithm for graph. Q.5 (a) Explain various multiple key access file organization in brief with advantages and disadvantages of each method. (b) Explain hashing for direct files. Q.5 (a) What do you mean by hashing? What are various hash function. Explain each one in brief. (b) List various fundamental file organization techniques and explain each in brief.